sara's birthday treats — Pencil & Paper Co. Thought I would share with you all a little bag of "birthday treats" that I put together for my dear friend Sara of Sara's Party Perfect! Sara and I have very similar tastes...so it is always fun to shop for her! 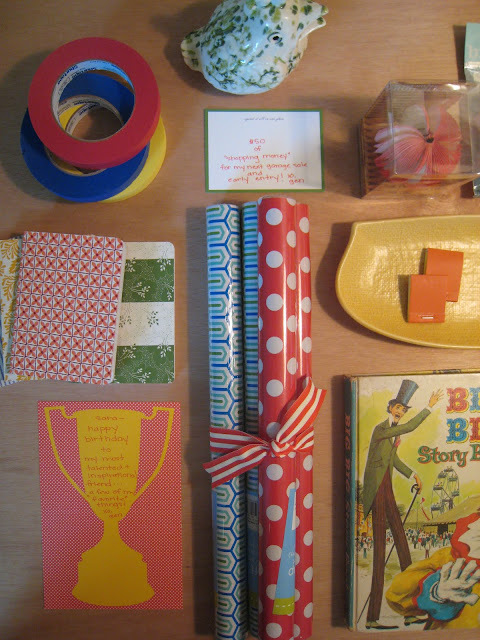 This year I snapped up a bunch of my "favorite" finds....an eclectic mix of vintage and fun "paper goods"!